It’s official…I’m in love with homemade soap. But most of all, I love that by making it myself I remain connected to all of the wonderful women before me who learned the necessary homemaking tasks of cooking from scratch, gardening, mending, preserving, herbal crafting, and soap making. Today I had to replenish my supply of laundry bar soap and cut a few bars for use as a stain stick. My journey into soap making began almost 2 years ago. Thanks to the Internet and amazing people that are willing to share information so freely…I was able to learn the skill. Yes, I had to overcome the fear of blowing up our house when working with the lye, but I finally decided that if generations and generations of women before me could do it, well then…so could I. Nowadays, making soap has become second nature and very much a part of the routine here in my home. I call the following soap recipe my Laundry Stain Stick — and it is crazy amazing at cleaning all sorts of stains — but I also use it when making laundry detergent and my liquid dish soap. The reduced percentage of excess fat and the inclusion of eucalyptus and lemon essential oils give this soap serious grease/stain cutting ability. 1. Measure the lye and water — each in separate bowls. Note: Run your recipe through a lye calculator to be sure that you are using the proper amount of lard, lye, and liquid. 2. Carefully combine the lye and water by pouring the lye into the water (never pour the water into the lye) and stir liquid until lye is completely dissolved. The liquid is caustic and not to be touched in anyway. The outside of the bowl will be extremely hot as well. Note: Be careful when working with lye and follow all of the recommended precautions. What I’m trying to say is, I can not be held responsible for any craziness, mishaps, explosions, etc. that may happen when making this recipe. 3. Allow the lye mixture to stay under a vent and cool down while you prepare the lard. 4. Measure the lard by weight and then place in a crock pot to melt on low heat. 5. Once melted, add the lye/liquid mixture to the lard in the crock pot and stir. 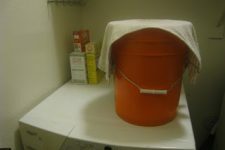 Note: Any equipment the lye touches needs to be neutralized in a mixture of white vinegar, soap, and water. 9. Prepare your molds. I just use a standard loaf pan lined with parchment paper and it’s always worked perfectly. 10. Just before pouring “cooked” soap into molds stir in the essential oils (if using). 11. Spoon soap mixture into molds. 12. Allow soap to cool and harden for 24 hours. 13. Remove from mold on to cutting board and cut into bars. 14. Place bars on a tray with good airflow so that they can harden further. But go ahead and use your first bar!!! To use the laundry stain stick simply wet the stained clothing and soap then rub the soap directly on to the stain. Wash as you normally would. -I do not recommend using this soap recipe on your skin. It will have too much of a drying effect. -Eucalyptus and lemon essential oils are known for their grease cutting ability and are excellent additions to the recipe. -Many of the vintage recipes that I have read for stain sticks used turpentine instead of the essential oils. Turpentine is a natural substance that comes from the resin of pine trees and it is biodegradable. If it’s available to you, it may be a viable option. -Looking for the raw materials mentioned in this post? The Soap Dish has some of the best prices on soap making materials you can find — not to mention it’ s a small family owned business. Mountain Rose Herbs is my go-to for all my essential oil needs! Even though I love hp soap, I would caution people to learn how to make cold process soap before moving on to hot process. Also, they need to be familiar with superfatting and lye/water discounts. You don’t want laundry soap with too much oil/fat. Back on topic. I have made laundry soap for awhile, but just started using lard. It is great. I use a lard/coconut soap, and then I add borax, washing and baking soda, grind it in an old food processor and get to work. I am now on to making liquid soap, which is a little more difficult, but I love it. Yes, that is exactly why. Castile is formulated for skin, so it is super fatted. Thanks so much for the link Andrea. I’ve learned some things I want to try in my next simple soap batch. Oh well…thank you Renee! You’ll never know how much reading your blog has inspired me throughout the years. Truly, thank you. Doesn’t the soap have to cure for a few weeks,because of the use of Lye??? even if not used directly on skin…?????? Hi Lauri! There are two ways to make soap cold process and hot process. I use the hot process method whereby I “cook” the soap in the crock pot. Hot processed soaps are ready to go after “cooking” and sitting in the mold for 24 hours. Cold processed soaps must cure for 4-6 weeks prior to use. With cold process you skip the “cooking” and simply pour the soap into the molds right after trace. Yes you should wait several weeks before using lye soap. I have read and been instructed in several classes to wait two weeks. Make sure you go to soapcalc.net and double check. I used 22 oz of oils all together, so this makes just about 2 lbs. oh, set the ‘water as a % of oils’ to 30 and super fat to 0. Yo can either hot process or cold. For me, I’ve found that either way, it takes a little bit for lard soap to come to trace. But, even with cold process, you don’t have to let it cure a long time. The most it takes is a week. I usually do about 4oz of soap at a time. So, I’ll shred the soap (an aside, it doesn’t work well in the food processor, cheese grater works best), add the washing soda, borax and baking soda and then grind it up in the food processor. You have to kind of play around with the borax and washing soda to see what works best. I ave hard water, so I’m heavy on these, but I also add the washing powder which I think softens the laundry. This is very low sudsing, so it *should*work for an HE machine, but I can’t say for sure. The other tip I’ve found is if I use cold water with this, I let the machine agitate before I add the clothes. A little of this goes a long way. I use 1 tbs/load unless it’s a big load, then I’ll do 2. No more than 3 is max, though. I am new to all the homemade products but am so excited about it all! Thanks for all your recipes and tips! I look forward to learning a lot from your posts! Oh no! Now you KNOW I have to get my hands on some lard and make this….your website is gettin me into all kinds of fun projects….LOL. Andrea, you were right….the shamphoo bar worked out just fine and sliced up great. I used it this morning followed by the herbal ACV rinse and I am probably never gonna buy shamphoo from a store again!! I am still curious as to why it never “fell in on itself” and turned translucent but plan to try again soon since I split that recipe with my friend and will probably give a couple of bars to some friends. Yeah!!! That’s awesome Alyssa! You know sometimes it just doesn’t do exactly what it’s suppose to when cooking. The more you make it the more you’ll learn 🙂 That’s awesome that you made it with a friend! Just how it should be…good for you! There’s going to be a lot of fun happening in your kitchen 🙂 That’s really great Courtney!!! Tell me…what will you make first? That’s a hard decision, but I’m thinking tinted lip balm!!! GREAT choice!!! That’s a perfect place to start! What do you recommend using to pour into the tins/containers to prevent spillage? I use plastic droppers to fill my lip balm tubes. This post came at the perfect time! I have been looking for a stain treatment to go with my homemade laundry detergent but not coming up with anything that works as well as the store bought stuff for my husband’s grease stained clothes. Now to track down some lard! Thanks Andrea! You’ll love it! And it works amazing too if you couple it in your homemade laundry soap! If you’re looking for lard check on http://www.localharvest.org for a pig or cattle farmer near you. I buy mine from a local farmer for super cheap. As a side note…tallow from beef would work in this recipe also. You read my mind! I was coming back to ask if tallow would work too. I have a butcher in mind but I am not sure if he does cows, pigs, or both. so excited to soon be making my first batch of soap! am ISO an older model crock pot that doesn’t get so hot- @Andrea, can you tell me what wattage is best/ or no more than ___ watts? or would the ‘keep warm’ setting work on my newer model? and does the soap dish sell lye too? (I can’t get that at my local go to store) thanks for a Great post! Another great source is essential depot. Theirs s food grade, an it really makes a superior soap. If you have a local hardware store, Roebic is 100% lye. Just don’t use Red Devil. Thank you so much for another great post. 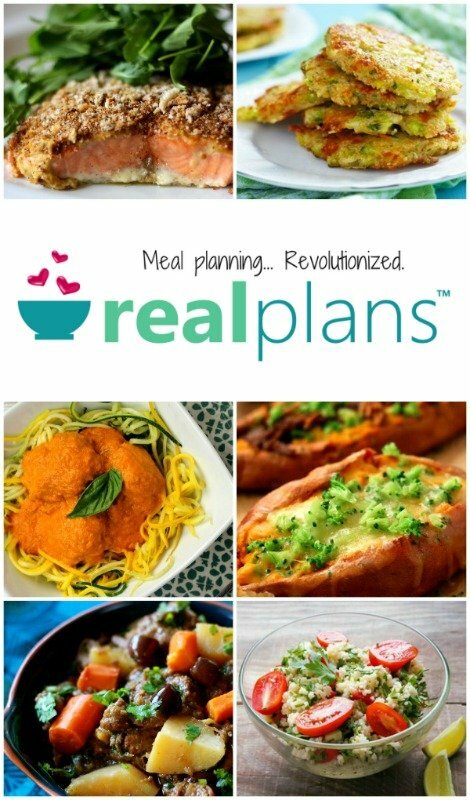 I have made a few of your recipes and I love all each one. I’m excited about the possibility of this stain stick! I have both a baseball and softball player in my home and they come off the field filthy with the red field dirt. Do you think or know if this will work to get those types of stains out? Thanks so much for this post and recipe! I just started making HP soap (Literally JUST started I’ve made only 3 batches!) but of course I am addicted to it!! I have been wanting to make a Laundry/General purpose soap so I am looking forward to giving this a try. One question is have you (or anyone) used this on Cloth Diapers? I was going to do a homemade castile type soap but if the lard cleans better and isn’t too hard on them then I will use it! Any suggestions? is there a substitute for the lard??? being vegetarian and all…. Is there anything I could use instead of lard, would something like tallow or lanolin work instead? Absolutely! Sometimes I use tallow, if that’s what I have available 🙂 Just be sure to run your recipe through the lye calculator on http://www.thesage.com because using tallow changes the amount of lye you need (use the 1% amount). Its best NOT to use lanolin. . . It has a bit of Un-saponifiables. . . meaning oils that do not mix with the lye, and could leave an oily/ greasy residue on the clothes. Hi Andrea, I love your website. Wondering if this stick would be available on your etsy site to purchase? I have never made soap before and would like to try this out before diving into making it. Thanks so much and thanks for all the wonderful and fabulous ideas! Oooh, I have a need for this and I am going to have to make it. Thanks, Andrea. Oh no way Wardeh! Thank you 🙂 You have been such a source of inspiration through the years! Sending your blog to my best friend. She makes her own soap. Andrea can you shred this and use it in your homemade laudry soap recipe? Just wondering if in the long run it would be cheaper or just follow your recipe and use the other soap? When you purchase your lard, are you rendering it in any way before you are using it in your soap recipe? For lard, is this easy to find for purchase, or do I need to render fat? You can find it online at U.S. Wellness Meats…or render it yourself if you have a good local, grass-fed farmer. So happy to have found this resource! Definitely going to give it a try! You lost at me at “2 pounds lard” which means basically you wish to bathe with the fat of a dead tortured animal. HOW IN THE WORLD IS THAT “FRUGALLY SUSTAINABLE” ????????? Cattle/chicken/hogs/etc have been raised for 1000’s of years by many of independent farmers…thereby sustaining humanity. It’s all about balance and respect! It IS frugally sustainable, as parts of the animal (in this case- the fat) is rendered into Lard, or tallow. 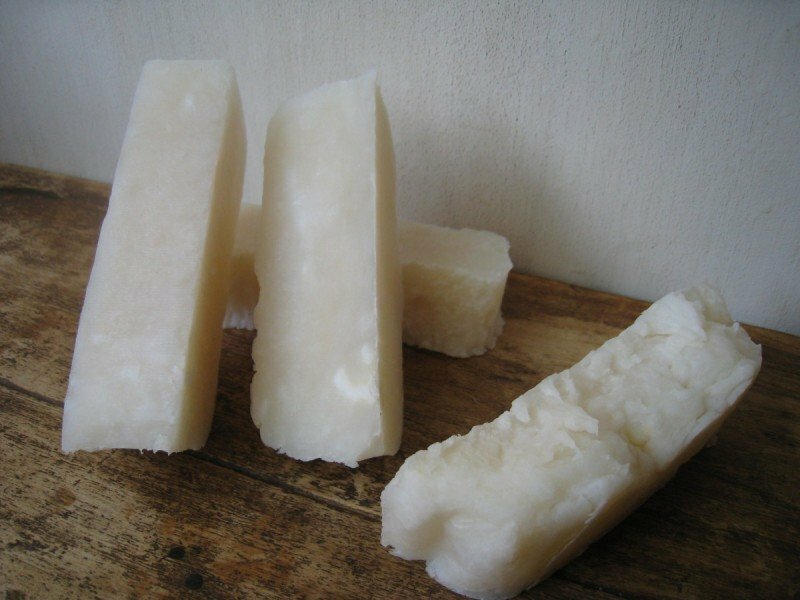 In the olden days, tallow was used to make candles, melted & used in oil lamps, and used to make soap. Being frugal is using all possible parts of – whatever-, and not wasting, or sending to the trash, landfills or incinerators, is what this country needs. . .thus creating the *sustainability*. . .
– – – No, not *bathing* in the fat, as the fat is rendered & purified, then when its mixed with water & lye, a thermo-chemical reaction occurs. . .which the result is a sodium based product we call Soap. — LOL sorry I have to laugh. . . I have never heard that MEAT is the Cause of global warming, or the cause of world hunger. . . .I could understand the possibility of methane gasses acumulating by raising pigs & cows in enclosed spaces, as part of that cause, but that seems rare these days. . . .
Angel, I know this is a few years old, but I need to applaud your reply. I’ve been making cold process soap for 16 years and came here looking for a stain stick recipe (16 years and I’m still learning). Whenever we make pulled pork for dinner I save the cooking liquid. I refrigerate it and then lift the pork fat off the top of the liquid and use it to make laundry soap. The gelatinous broth I give to our chickens. I’m not sure if it provides them with any nutrition, but they enjoy it tremendously, making for happy hens! The entire process is both frugal and sustainable. Too many people have drunk the KoolAid of ill informed environmentalists. They don’t think for themselves anymore. And they often don’t realize that their “sustainable” lifestyle is leaving a bigger footprint on our world than people like us that attempt to live frugally. And it is a shame. my husband is wanting to try this, i will email this recipe to him. I wonder if you could put this soap into recycled (and cleaned of course) deodorant tubes and just dial out what you need for the stain and then cap it back up for the next time. HP soap might be hard to get into the molds and pressed down, CP might work better? What do you think? I was just wondering, do you put your crock pot on high or low and how many quarts is it? Going to try this as I make all my own soaps. I am going to melt some already made soap and add the essential oils. We are on a farm and stains and dirt always abound. This sounds great. Could I use coconut oil in place of the lard? Or even a harder butter like shea? I have both of those on hand… Can’t wait to give this recipe a try when I find a good substitute 🙂 Thanks! Coconut, Palm Kernel, Mango Butter, Cocoa Butter are all vegan friendly substitutes. I personally would go for coconut or palm as those are usually cheaper than the others. I used this soap and your method for making liquid hand/body soap with the use of 5 cups water vs. 6 – 8 cups to make a liquid stain remover. It worked great, I poured this into my old and empty Shout squeezy/brush and used it on a greasy stain that I missed on a shirt the first time it went through the wash. Money in my pocket! I hate to say it, but I can’t wait for a grass stain to come my way. I’m glad you are having so much fun learning to make soap. It’s great, isn’t it? I have a post up about a very different way to make soap. It’s fast, super easy and I’ve never yet had it fail..a thing I can’t say about other methods I’ve tried. http://cubbyholes.wordpress.com/2012/09/02/it-was-soap-making-day-today/ is the link. Also, you list that you are using lard. Lard is rendered pork fat, tallow is rendered beef, elk or bison, Crisco is shortening but many think it’s lard and use that term interchangeably. I would like to try your laundry bar recipe, but want to be sure before I do that I’m understanding what you are using. Are you actually using something like Crisco or actual pork fat? I’m not sure if it was addressed but definitely make sure you use a scale when measuring your ingredients. Eye ball recipes can be disastrous. Remember soap making is more a science not a baking recipe. Another thing and very HUGE rule to remember in soap making that must NEVER be the one you forget: Lye is poured into water. NEVER water poured into lye. The results will be volcanic if ignored! Other tips for newbies, you can replace lard with other oils and still get the same results. I personally don’t care for lard or it’s smell. Plus we live kosher and don’t touch it. Coconut & Palm Kernel oil are both hard oils. Always make soap in a well ventilated space. The second lye is mixed into water it will create fumes that are not good to breathe. Always wear protective goggles no matter how ridiculous you look. Raw soap burns skin so imagine what it will do to your eyes! Avoid using metal unless it is stainless as that can react badly with soap. It you are looking for ideas for what to pour your soap in, flat boxes (from Sams, etc) lined with plastic will work great. You can also use silicone baking dishes. Those work really well too. I personally prefer the Room Temp method, especially for newbies. Less stress than CP or HP with more time to work with, no need to wait for that perfect heat temperature. Someone asked do we have to wait for soap to cure. I completely agree you should wait. New soap will melt down so quickly it won’t last long. The harder a bar, the longer it will last. Plus fresh soap might not be so great on colors! Eek! As fresh soap can actually bleach and discolor clothes!. I just started making my own laundry bar soap for my homemade laundry detergent. I love it! I didn’t like how the store-bought laundry soaps contained added ingredients and fragrances. 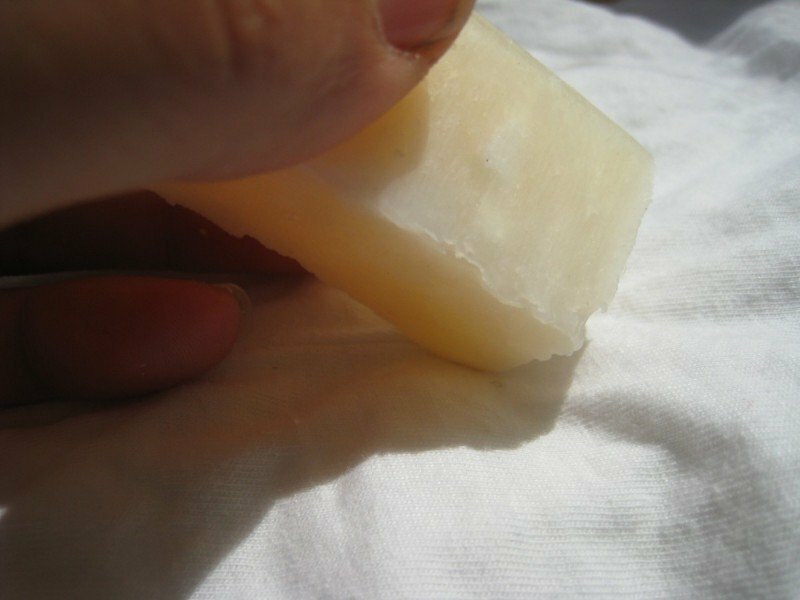 I like to use an all-coconut recipe for my laundry soap (stain stick) because in Australia, Copha (hydrogenated coconut oil) is cheap and readily available. it makes a hard, powerful, bubbly, super cleansing bar. I just make sure to wear gloves when I use it! I don’t add any essential oils because I usually save those for my body soaps and lotions, but tea tree and lavender would be a good combo! my recipe makes a little over a pound. It is 0% superfatted. I use a 1 litre (or one quart) milk carton as a mold. I’ve tried other molds but the milk carton always produces better looking bars! Not that it matters much for laundry soap though! I wait one week for my soap to cure before I start using it. At that point, the soap has fully saponified so there’s no excess lye. I use one bar while the rest harden. But I try to make sure that I make my next batch while I still have some soap left over from the previous batch so I don’t ever run out! Just a question Andrea – what sort of quantity does this recipe make? I’m wondering what sort of storage life this soap would have before the fat in it goes rancid. I guess I could keep it in the fridge after a few months?? 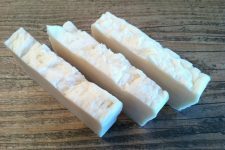 I’m new to soap making – I made my first & only batch of CP soap in Sept 2012, using olive and coconut oils, and I’m only half way through that batch. I LOVE IT!!! I use it for bathing, and have made laundry powder with it. I’ve given a few bars away to friends with skin allergies and they’ve raved about it. I do think my laundry powder could do with a bit of extra kick and this looks like a good one to use for that purpose. Before I made my own soap, I also tried your dish soap using velvet soap (standard laundry supermarket soap here in Australia), and wasn’t keen on it. From the comments above I’d love to give it another go using this soap recipe. I’ve never understood why everyone cooks their mixture after getting it to trace. I happened upon a video on Youtube where the lady made her soap but used the heat from the lye/water combo to melt her hard oils (lard). She did not cook it afterward, but rather poured it inot the molds straight away, and the soap turned out great. I am going to try out your recipe but use the exothermic reaction of the lye in the water to melt the lard and see what happens. Eeep! Did you try this experiment yet? Your short cuts are likely to make a disaster! People cook their soaps after trace in order to accelerate the lye reaction. After cooking the ph should be brought down to a usable level. This is called hot process. If you pour your soap into molds right after trace then you are doing a cold process. The lye has not completely reacted with the oils, it is still raw, the ph is very high and it will dry you out and even burn you if you use it. 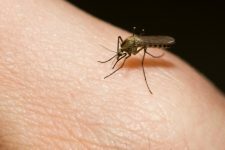 It takes at least 48 hours for the lye reaction to finish and longer for the cure to be complete. Your other shortcut is likely to give you what is called a seized batch and you are at a very high risk of getting a burn. When you mix your lye with oils when the lye is too hot, hotter than about 110* it accelerates trace. This is not normally a problem in hot process because the soap will cook back down again. But in cold process your fat that melts first will go straight to trace before he rest will melt and you will have a gross, chunky mess. This is also a MAJOR safety no-no. Lye should always be poured into the oil. If you are pouring lye mixture straight onto a bowl of hard lard you will get splashes and volcanos. DON’T DO IT! In the video you watched was there liquid oils already in the pot? That is very important! Can i use crisco instead of lard Iam doing a project for chemistry? Here’s a question about an EO substitute. I don’t have lemon EO, will grapefruit EO work just as well? what could you use instead of lard? Is there a substitute for lard? Please consider adding this to your ETSY store. There’s only 2 of us in our house and it would be easier for me to buy this. Same question as Cheryl, can you substitute another fat for lard , say coconut oil? Just trying to work with what I have on hand. We have been making the Duggars recipe for laundry detergent for some time now. It makes 5 gallons of concentrated solution to make 10 gallons of detergent. It uses the Fels-Naphtha, washing soda, borax and any essential oil you want. I found a recipe on the internet for a powdered version with 3 bars of Fels-Naphtha, 1 cup borax, 1 cup washing soda, 2 cups baking soda, one bottle of Purex or Downy crystals. Said to make enough powdered detergent for a family of 4. May be trying that too. Love the savings. Most of the recipes I have found for laundry soap use some type of rendered fat like yours. Many state it is the best fat/oil for cleansing. However, when run through soap calc the cleaning is scored as a zero. Any idea why so many suggest it if cleaning is truly a zero? Cant find the answer anywhere and was hoping you would have insight. Thank you so much for the time and effort you put into your blog. It’s my go-to source! Have a blessed day!! So… is lye the same thing as sodium hydroxide? If not, are the two directly interchangeable in weight measurements?